.Конспект урока английского языка в 9 классе по теме: William Shakespeare - famous English writer. Файл прикреплен к материалу: .Конспект урока английского языка в 9 классе по теме: William Shakespeare - famous English writer. William Shakespeare - famous English writer. Цели урока: Активизировать познавательную деятельность учащихся. Развитие интереса учащихся к культурному наследию Великобритании. Повышение интереса учащихся к изучению английского языка. Развитие навыков и умений говорения. 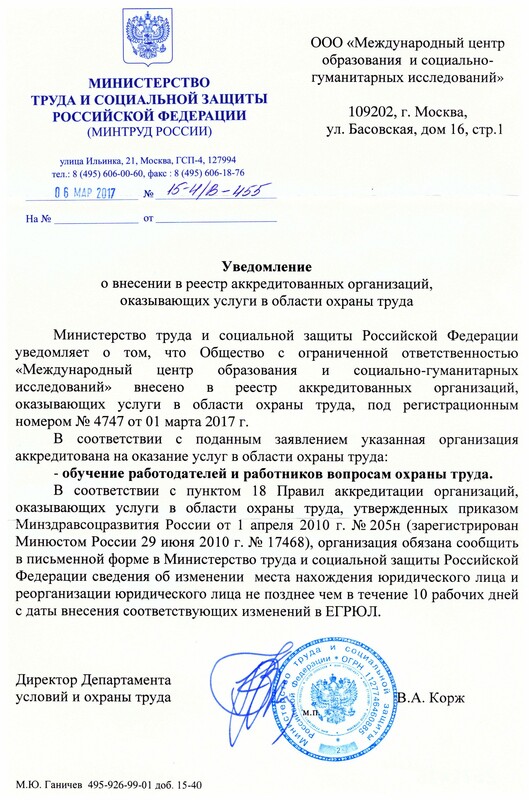 Развитие способности и готовности общения на английском языке. Закрепить лексический материал по теме “Вильям Шекспир”. Учебные - обобщение и систематизация изученного лексического и грамматического материала; учить учащихся правильному употреблению речевых образцов в речи и самостоятельной работе с фонетическим материалом; изучение пословиц, ‘крылатых фраз’ и идиоматических выражений; продолжить работу над словообразованием однокоренных слов. Развивающие - интеллектуальное развитие учащихся; развитие языковых, интеллектуальных и познавательных способностей; знакомство с культурным наследием и традициями Англии; готовность к коммуникации. Воспитательные - формирование у учащихся уважения и интереса к культуре и народу страны изучаемого языка; воспитание культуры общения; воспитание и формирование потребности в познавательной активности. Good morning. I am glad to see you. How are you today? Today we’ll speak about a famous English writer – William Shakespeare. Certainly, all of you know this name and some of his books, but I think that you don’t know much about his life and his theatre. So we’ll see a presentation which was made by one of the pupils of our school last year. And it will help us to know more about the greatest English playwright. After the seeing you will be asked to do some exercises. Be attentive, you may write down some information in your exercise-books. Shakespeare is the greatest of all playwrights and poets of all times. The last half of the 16th and the beginning of the 17th centuries are known as the golden age of English literature. Sometimes it is called “the age of Shakespeare”. William Shakespeare was born on the 23rd of April 1564, in Stratford-on-Avon. At the age of 6 he was sent to school, but had to leave it at the age of 13 and never went to school again. His father who couldn’t even write was a glove-maker. William helped him in his trade. At the age of 18, he married Anne Hatheway. Ann was 8 years older than her husband and their marriage wasn’t happy. They had 3 children. At that time actors and actresses visited Stratford-on-Avon. William liked to watch them. He was fond of their profession and he decided to become an actor. When he was 21 he went to London. There he became an actor. He began to write plays too. He worked in the modern theatre “Globe”. 14 years later he became a part owner of the Globe theatre in London. The original Globe was opened in 1599, burned down in 1613 and immediately rebuilt. It was a round building with the stage in the centre, open to the sky. If it was raining, the actors got wet; if the weather was too bad, there was no performance at all. It was closed in 1642. In 1997 after almost 400years Shakespeare’s Globe was opened again for public. Every summer it offers now performance of plays by Shakespeare. The Globe Theatre was a theatre in London built in 1599 by Shakespeare’s playing company, and was -------------------- by fire on 29 June 1613. A second Globe Theatre was built on the same site by June 1614 and closed in 1642. In 1949 an American actor and film director Sam Wanamaker came to London looking for the site of the Globe Theatre. He didn’t find any so in 1970 he established Globe Playhouse Trust with the aim of rising funds to -------------- the Globe. And in 1997 Her Majesty the Queen opened the International Shakespeare Globe Centre. At the base of the stage, there was an area called the pit, where, for a penny, people would stand on the earthen floor to watch the ------------------ . Around the yard were three levels of stadium-style seats, which were more expensive than standing room. A rectangle stage platform, also known as an ‘apron stage’ thrust out into the middle of the open-air yard. On this stage, there was a trap door for use by ------------------ . Large columns on either site of the stage supported a roof over the stage. The ceiling under this roof was called the ‘heavens’, and was painted with clouds and the sky. The balcony housed the ------------------ and could also be used for scenes, such as the balcony scene in “Romeo and Juliet”. Let’s return to our presentation and read some information about W.Shakespeare’s books. ( слайд 9 -10) –reading. Shakespeare’s experience as an actor helped him greatly in the writing of his plays. His knowledge of stage and his poetical genius made his plays the most wonderful ones ever written. 2 long poems and 154 sonnets. Most of Shakespeare’s plays were not published in his lifetime. So some of them may have been lost in the fire when the “Globe” burned down in 1613. It is interesting to note that almost all plots of Shakespeare’s plays were not original. and the playwrights tried to attract it to the world literature through their plays. Shakespeare took his plots from history, old legends, novels and poems; he also used Plutarch’s “Historical Portraits”. The plot of “Othello” and “Twelfth Night” was taken from Italian novels and those of “Hamlet” and “King Lear” - from early English authors. But every borrowed plot began to live a new life in his plays. Shakespeare also wrote 2 long poems and 154 sonnets. They show his extraordinary powers of expression and his depth of emotional understanding. ( слайд 11 ) –read and translate. The book is written by well-known English writer of the …….. century …….. –книга написана известным английским писателем …….века………. The title of the book is ……. – название книги……….. The plot of the (book) is interesting – содержание книги очень интересное. The (book) tells about a ……… who …….. ( the contents of the book must be given very briefly) - книга рассказывает о ………., который(ая) …………. There are some humorous/ funny/ sad/ tragic episodes - есть юмористические/ смешные/ печальные/трагические эпизоды. To cut a long story short, …….. - короче говоря, …….. (the end of the book must be given). I can’t but mention such characters as …… - не могу не упомянуть таких персонажей как ….. If you like historical novels/ love stories/ comedies/ tragedies I advise you to read this (book). Now I want you to talk about the great plays written by W. Shakespeare. You can work in groups. Choose one of W. Shakespeare’s plays. Say that you have read it and recommend us to read this play. You’ve got cards with some phrases on your desks. Look at them; they can help you, use as many phrases as you can. You have 4-5 min. 2“To be or not to be”. 7“All is well that ends well. Many lines of his works became famous sayings and are known all over the world. Complete the Shakespeare’s quotes. Can you match the two halves to make the quote? and all the men and women are merely players. An idiom is a set expression which has a meaning different from the literal meanings of its components. Idioms can be quite clear or pretty unclear. It is useless to ask why idioms have such unusual structure or choice of words, or why they don't follow basic grammar rules. Let's just accept as fact that idioms are a difficult peculiarity of English. Many idioms appeared as quotations from well-known writers such as Shakespeare. For example, "at / in one fell swoop" comes from Macbeth and "cold comfort" from King Lear. (слайд 16 ) - read, write down idioms and do the exercise. These idioms were invented by William Shakespeare and used in his famous plays. They are all used in everyday English and very well known. Can you match each idiom to the correct sentence? Check answers with the help of the presentation. You were good at doing exercise and now let’s read some facts about the last years of Shakespeare’s life. (слайд 17 - 19) – reading. A monument was opened to the memory of the great playwright in the Poet’s Corner in Westminster Abbey. After reading the presentation you know a lot of information. What do you know about William Shakespeare? Try this quiz to find out. On your desks there are sheets of papers with a short test. You may work in groups again. 1) When was William Shakespeare born? 2) Where was Shakespeare born? 3) Which type of plays did Shakespeare not write? 4) What's the name of the ‘Shakespeare theatre' in London? 5) Which of these plays was not written by Shakespeare? 9) Shakespeare went to … at the age of 21. 10) Who played Romeo in the most recent film version of ‘Romeo and Juliet'? I’d like to finish our lesson with the words of an English poet, polemicist and politician John Milton. (слайд 20) His words were translated by famous Russian poet and translator S.Marshak. And there are very wise words written by W Shakespeare in Sonnet 18. Read them. (слайд 21). The lesson is over, good bye. 1.“Spoken English”, пособие по разговорной речи. Ю.Галицынский, С-пб, «Каро»2000. 3. Английский язык, тематический сборник для подготовки к устному экзамену по английскому языку за курс основной школы, Т.Ю.Журна, «Дрофа»,М-ва, 2004. 4. William Shakespeare - Wikipedia, the free encyclopedia. 10. «Шекспир» С.Шенбаум, краткая документальная бография, «Прогресс»,М-ва,1985. Введите email и мы отправим вам подборку разработок по теме материала .Конспект урока английского языка в 9 классе по теме: William Shakespeare - famous English writer.